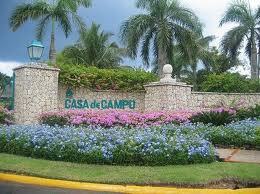 The Casa de Campo resort is located in the town of La Romana, with the La Romana Int’l Airport (LRM) across the street and only 1 hour from the Punta Cana International Airport (PUJ). Casa de Campo is home to Pete Dye’s creation, Teeth of the Dog, which is one of the first golf courses in the Caribbean, opening its course for play in 1972. Additionally, you will find 27 holes available on Dye Fore and 18 holes on The Links, all designed by Pete Dye. This resort is all emcompassing with Polo fields, shooting range, golf, tennis, marina, restaurants and more to offer its guests.